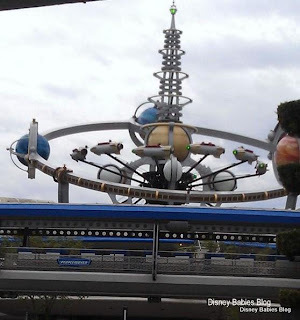 Disney Babies Blog: Mommy's Favorite... not for all? Maybe it's the flying. It might be the music. 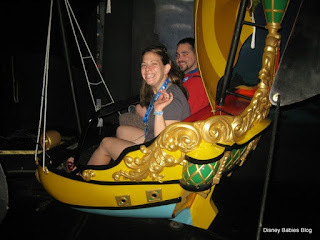 I can't pinpoint the exact reason, but my favorite Walt Disney World attraction is Peter Pan. He's even one of my favorite characters to meet at the World. And, since we've starting our family trips, it's been the first stop on our Magic Kingdom list. Scared?? On Peter Pan?? How is that possible? Oh no! About halfway through the flight, he started saying he was scared - no tears, no over the top reaction, just the words. But, we did our best to comfort him - we assured him that Peter Pan saved the day and that we were safe flying around Neverland. And, we went back and flew again later in our vacation. Of course, as we finished the ride, he asked to go again. But, still - not the reaction I had been hoping for! Even now that we're home, he'll say he's scared of Hook and Tic-Toc Croc. I'm hoping this won't make him nervous on our next trip, but being 10 months away, I'm betting that he'll forget to be scared. But, as a warning - it may be scary for young children!! 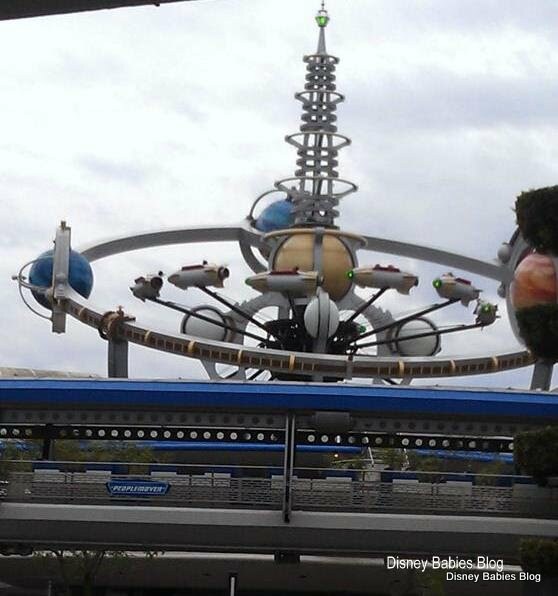 The only other ride Noah showed fear on was the Astro Orbiter, but that's a fair complaint! A bit too fast with a bit too much tilt for a little guy! Anyone else experience any fears on Peter Pan or other rides? Let's see... at 28 months, Bubby was scared of The Seas with Nemo & Friends, Haunted Mansion (you can read about my world's worst mother moment here: http://disneybird.blogspot.com/2011/08/dd-toddlers-fear-of-rides-at-disney.html), and Muppet*Vision 3D. The Haunted Mansion I get, but The Seas? I was pretty surprised with that one. It's interesting what they react to and what they don't. My 8 year old daughter is scared of Splash Mountain (she says she hates the drop) but her absolute favorite ride ever...the one she had to ride over 10 times on our last trip...is Space Mountain. It still boggles my mind.